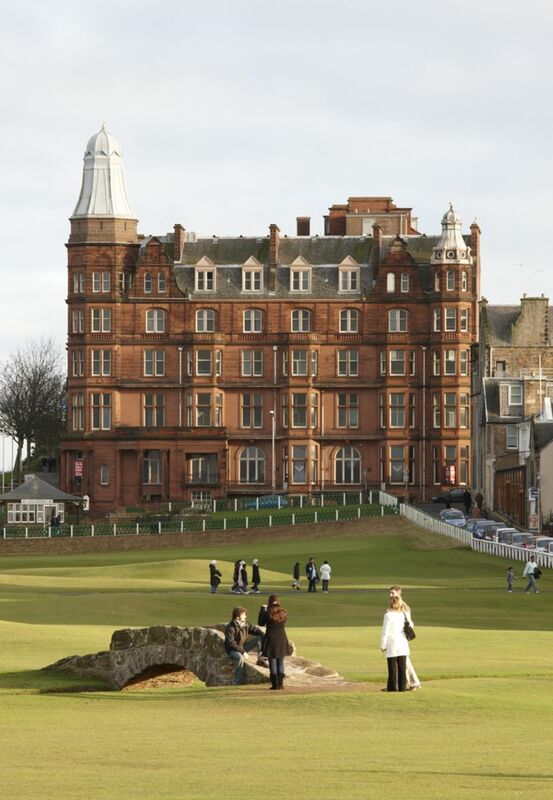 News from Golf Tourism Scotland: Hamilton Hall, St Andrews under new ownership! One of the most recognisable buildings in St Andrews - Hamilton Hall overlooking the Old Course - is under new ownership again having been bought by the Kohler Co, which already owns the Old Course Hotel, Spa & Golf Resort, a GTS member. Hamilton Hall was originally opened as the Grand Hotel in 1895 to capitalise on the rapid expansion of St Andrews as a popular tourist destination. Owner Thomas Hamilton is said to have commissioned the construction immediately after his application for membership had been rejected by the Royal & Ancient Golf Club, in a bid to overshadow the latter's clubhouse! During World War II the hotel was requisitioned by the armed forces and then acquired by the University of St Andrews in 1949 as a hall of residence, being used as such until 2006.